If you know me, then you will know that I love gin. It is my favourite alcoholic drink, and was in fact the first one I had after nine long months of pregnancy. Within my circle of blogging friends I am known as the gin queen, and I'm often mocked for talking about how I drink different gins depending on the season! I guess there are worse things to be teased for! 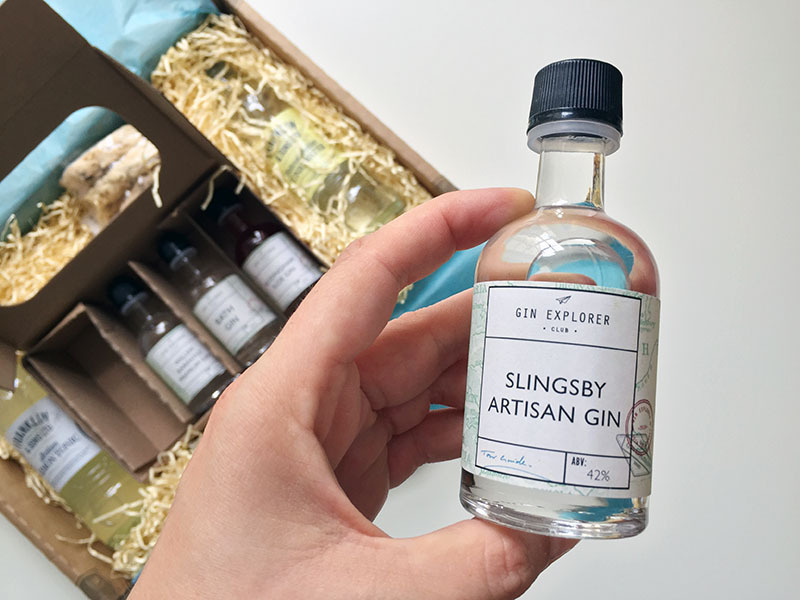 It was actually my friend Ami from My Mummy Spam who put me in touch with the lovely people who create the Gin Explorer subscription box. 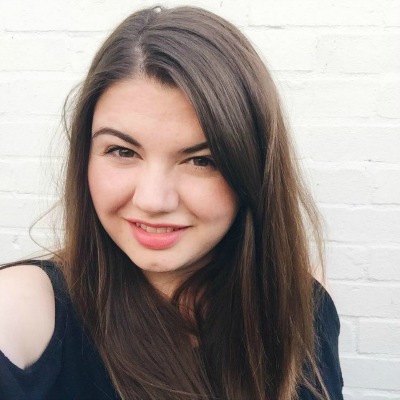 As soon as I heard about it I knew it would be amazing, and luckily I was offered the chance to try out the September box. I was literally counting down the days until it arrived - I was so excited to taste some new gins! 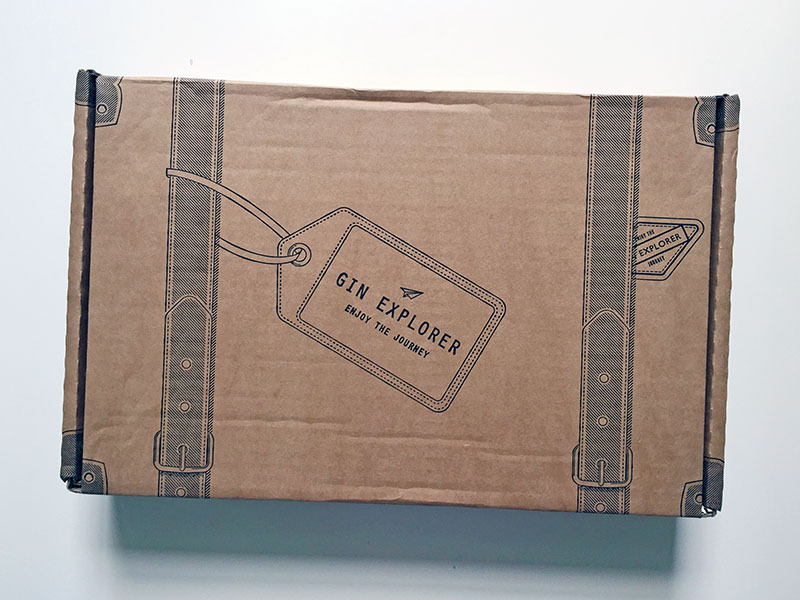 The packaging for the Gin Explorer subscription box is absolutely beautiful - from the second I saw the box I new I was going to love whatever was inside. I adore the little luggage tag on the outside, and then the tissue paper on the inside. The design is totally up my street, and I appreciate the thought that was put into it, with there even being a cute sticker to hold the tissue paper together. Moving the leaflets, information and recipe cards out of the way revealed the gins themselves, packaged in their own box, with gorgeous labels to perfectly match the theme. 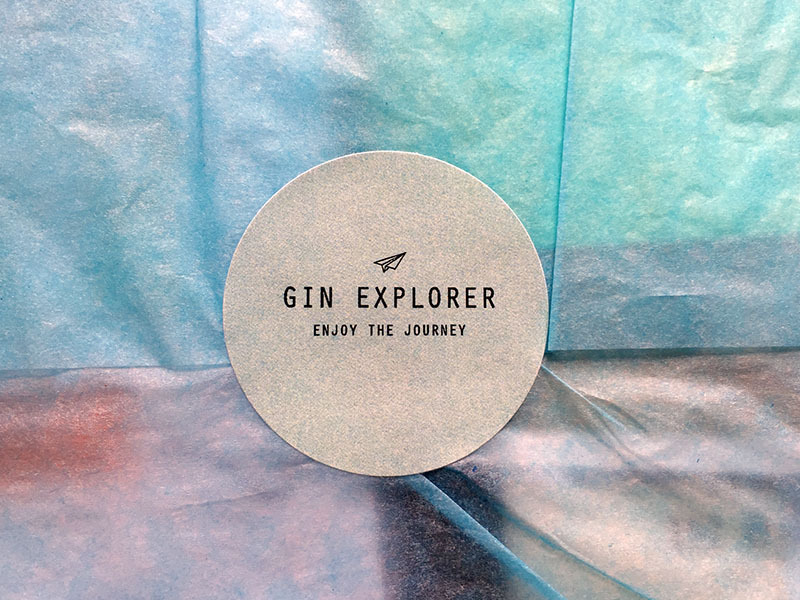 Although I was expecting them to bare the branding of the companies themselves, rather than the Gin Explorer logo, I actually love how uniform they look with the same packaging. Alongside the gins there was a bottle of tonic, a bottle of bitter lemon, a package of biscotti and a few sweets. My one quibble with this box would be that the ratio of mixer to gin is a little off, as there is far more gin, although I guess that's better than it being the other way around! All of the gins were absolutely delicious, and if I had to pick a favourite it would be the Willem Barentsz Premium Gin - so crisp and refreshing! 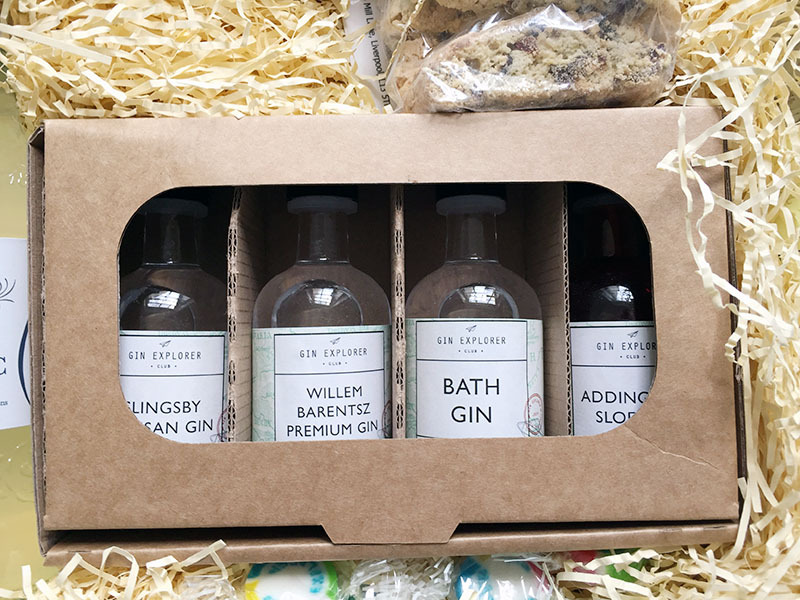 I think that these boxes would be an absolutely lovely gift for a gin lover like me, and definitely something to consider when it comes to Christmas shopping this year. They're £24.99 for one box, which I think is really good considering it contains eight measures of gin, and it works out as an even better deal when you sign up for a longer amount of time. There are the options to subscribe for three months, or even a year. 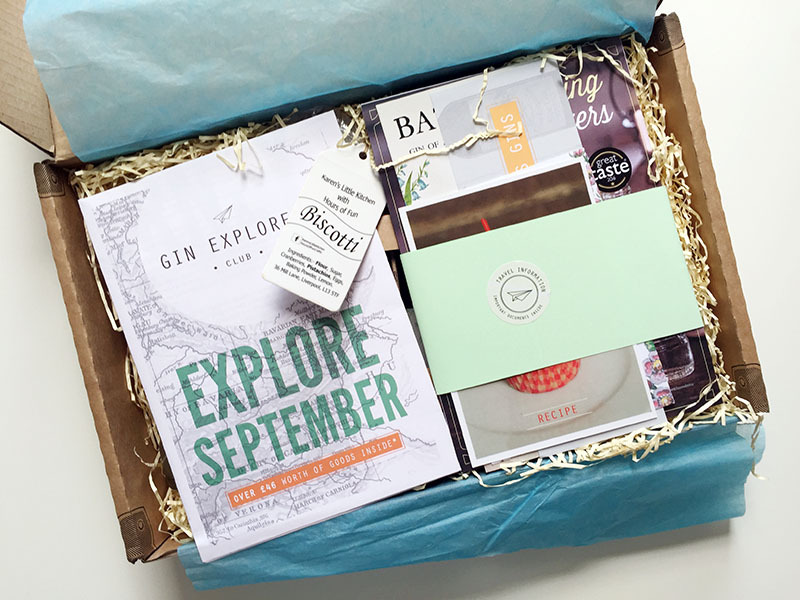 Just imagine how amazing it would be to have a box of gin delivered to your door every month for a year! 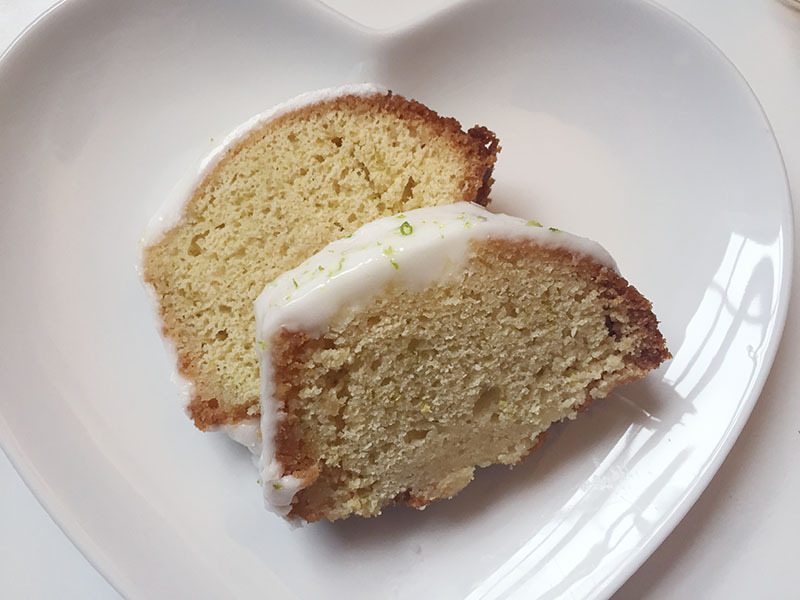 The Gin Explorer team also asked me to put my baking skills to the test, and so I attempted to make a delicious looking Gin and Tonic Bundt Cake recipe which I spotted on the Sainsbury's website. I have to say it didn't quite work as well as I had hoped, although I think this is partly to do with the fact that I didn't quite have enough self raising flour, so tried to top it up with plain flour and some raising agents. 1. Preheat your oven to 180 degrees, 160 degrees fan or to gas mark 4 and grease your chosen bundt tin. 2. Gently heat your milk and crushed juniper berries in a small saucepan until warm, and then set aside. 3. Cream together your sugar and butter until light and fluffy, and then add in each egg one at a time, followed by the lime zest. 4. Mix in the flour and then strain the milk into the mixture, discarding the juniper berries. 5. Spoon into your bundt team, and then bake for 45 minutes, until it is golden and risen (hopefully more than mine did), and a skewer comes out clean. 6. Whilst the cake is in the oven make your syrup. Combine all of the ingredients in a small saucepan and set over a low heat until the sugar melts. Then increase the heat to high, and simmer for 7-10 minutes until the mixture has reduced by half. Strain into a jug, discarding the juniper berries. 7. This is the step where the recipe and I differ in opinions. The original recipe suggests taking the cake out of the oven, immediately poking holes into it and then pouring the syrup over before letting it sit for ten minutes. 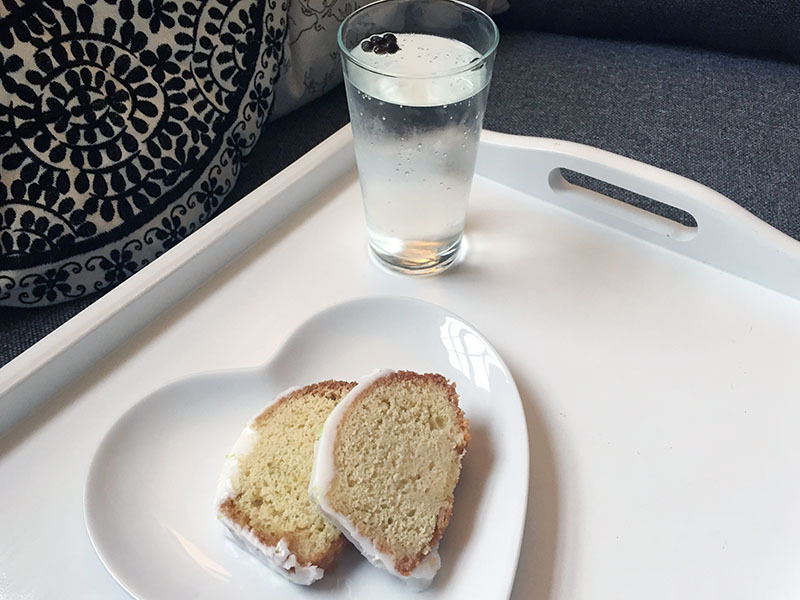 I would suggest that you loosen your cake from the mould first, as I found that the syrup made the cake stick to the mould which made it really difficult to get out. Then, turn onto a wire rack and leave to cool completely. Please let me know if you try out this recipe, I'd love to know how you got on!